Continuing the legacy of our highly successful 2011 and 2014 conferences - the 3rd Triennial 2017 Masters’ Symposium on Blepharoplasty and Facial Rejuvenation will be held on September 1-2, 2017 in the beautiful city of Sydney, Australia. The symposium will see hundreds of leading experts from around the world gather to share exciting advances and innovations in this highly specialised surgical field. The Masters' Symposium is a multidisciplinary event organised by Blepharoplasty Australia (BA) in conjunction with the Australasian Academy of Facial Plastic Surgery (AAFPS). The Symposium will see experts from a variety of medical specialties and subspecialties make their way to Sydney to attend. In the past, BA has hosted delegates from all four corners of the globe and has included plastic surgeons, oculoplastic surgeons, facial plastic surgeons, general plastic surgeons, cosmetic surgeons, reconstructive surgeons, and dermatologists. Dr Benjamin Burt is a Specialist Oculoplastic Surgeon. Dr Burt (FRANZCO FACS) has extensive surgical experience in the US, Australia, New Zealand and the United Kingdom. An Ophthalmologist for over 10 years, Dr Benjamin Burt specialises in Oculoplastic Surgery of the orbit, eyelids, periorbital, face, and the reconstruction of the eye and associated structures. Dr. Burt has completed a dual fellowship at the University of California (Los Angeles) (UCLA) under the renowned Dr Robert Goldberg and an Oculopastic fellowship in Auckland, New Zealand. He has an impressive record of international presentations and publications and is currently an editor/reviewer of several prestigious Ophthalmology journals. Dr Marcells is an ENT, Facial Plastic Surgeon based in Edgecliff in Sydney. He is the President of the AAFPS (Australasian Academy of Facial Plastic Surgery). He is Co-Director of the Sydney Rhinology Fellowship which accepts Fellows for advanced rhinology training through the American Match program. Dr Marcells is actively involved in Rhinology research and is Supervising an Honours Student Project on the External Nasal Valve. Dr Simon Taylor is an Ophthalmologist with a subspecialty practice in Oculoplastic, Orbital and Lacrimal Surgery. Dr Taylor graduated in Medicine with First Class Honours from the University of Sydney in 1989. Specialist Ophthalmology training was undertaken at the Royal Victorian Eye and Ear Hospital, Melbourne, and then as the Senior Professorial Registrar at the Sydney Eye Hospital. His subspecialty training in Ophthalmic Plastic Surgery, Orbital and Lacrimal Surgery was then undertaken in Australia, USA and the UK. He was the Honorary Oculoplastic Fellow at the Sydney Eye Hospital in 1999. Fellowship training in Oculoplastic Surgery was then undertaken at the University of Michigan, the University of Utah and Royal Manchester Eye Hospital, Manchester, UK. Dr Taylor is an Honorary Associate at the Sydney Eye Hospital, a consultant at the Skin & Cancer Foundation and a VMO at Westmead Hospital. He holds the position of Senior Lecturer at University of Sydney and the Sydney Adventist Hospital Clinical School. Sign up with your email address to receive news and updates on the upcoming 2017 Masters' Symposium. We respect your privacy and won't share your email address under any circumstances. Meet, network and learn from the pioneers and world leaders in blepharoplasty and aesthetic facial surgery. Robert Alan Goldberg MD FACS was born in Los Angeles, California. He graduated from Stanford University in 1979 with a major in Psychology, and completed his MD degree at UCLA School of Medicine in 1983. His Residency in Ophthalmology was at the Jules Stein Eye Institute, UCLA, under Bradley R. Straatsma MD, finishing in 1987. He was a Fellow in Orbital and Ophthalmic Plastic Surgery under Norman Shorr, MD at the Jules Stein Eye Institute. A rotating second year fellowship in Orbital Oncology included time with Jack Rootman MD, in Vancouver, British Columbia, Canada, and with John Wright MD at Moorfields Eye Hospital in London, England. 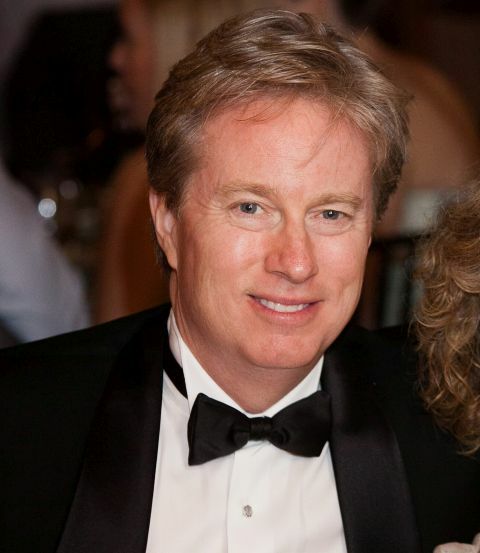 Dr. Michael Groth is a renowned expert in aesthetic eyelid surgery and has practiced in Beverly Hills for 25 years. He completed his residency and fellowship at UCLA’s prestigious Jules Stein Eye Institute. He trained under renowned surgeon Dr. Henry I Baylis. As an Associate Clinical Professor at UCLA, Dr. Groth teaches regularly and has lectured extensively. He has authored many articles and book chapters on Ophthalmic Plastic Surgery. Dr Groth has performed thousands of aesthetic eyelid and eyebrow procedures. His work has been featured on ABC News, Fox News, The Lifetime Channel, Doctor 90210, The Swan, Dr. Phil, The Doctors, W Magazine, LA Magazine and LA Confidential Magazine. Dr. Guy Massry was born in Israel and raised in Los Angeles, California. He received his undergraduate and medical degree at the University of Southern California (USC) in Los Angeles, and then his ophthalmology and ophthalmic plastic training in St. Louis, MO and New York City, before returning to Beverly Hills, California where he has been in full time practice for the last 15 years. Dr. Massry’s practice focuses on aesthetic forehead, eyebrow, eyelid and mid face surgery. He has a specific interest in revisional aesthetic procedures, volume preservation blepharoplasty, and advances in the use of eyelid and periorbital fillers. Dr Mendelson is in private practice at The Centre for Facial Plastic Surgery in Melbourne Australia. He graduated from Monash University Medical School, Melbourne, and Interned at the Alfred Hospital Melbourne. He trained in general surgery and plastic surgery at the Mayo Clinic, Rochester, Minnesota USA for six years and is certified by the American Board of Surgery and The American Board of Plastic Surgery. Dr. Paul Nassif, as a skilled facial plastic and reconstructive surgeon, is Trusted with Faces Worldwide.™ His surgical prowess and innovative techniques have been recognized internationally by the media, patients and his peers. Known as a revision and ethnic rhinoplasty specialist, Dr. Nassif is sought after by patients from around the world for help in correcting some of the most challenging complications cases. This is why he is Trusted with Noses Worldwide.™ Dr. Nassif specializes in obtaining natural results in both rhinoplasty and aging face surgery at Paul Nassif MD & Associates in Beverly Hills, California. Allergan is a global, technology-driven multi-specialty health care company pursuing therapeutic advances to help patients live life to their fullest potential. In making this commitment, we work to develop an unparalleled level of insight into patients’ wants and needs — and into the priorities and concerns of the medical specialists who treat them. To this end, we invest in research and development (R&D) and have been a global leader in science and medical innovation for over 60 years. As a world leader in Medical Aesthetics, Allergan is committed to the satisfaction of our facial aesthetics patients. Our commitment extends to providing specialists and patients with products and information that are strictly backed by science, so they can make informed choices. Allergan Medical Aesthetics is proud to offer a range of leading products in Australia & New Zealand; botulinum toxin type A for wrinkle reduction in glabellar, crow’s feet and frown lines, hyaluronic acid dermal filler for facial volume loss and deoxycholic acid injection for submental fat. Merz is a privately held pharmaceutical company based in Frankfurt, Germany with affiliates across Europe, as well as the US, Canada, Mexico, Brazil and Asia Pacific. The company is active in research, development and distribution of innovative products in the areas of aesthetic medicine and neurologically induced movement disorders. The Merz Pharma Group employs 3,005 people worldwide. The Company generated revenue of EUR 1,092.9 million in fiscal year 2015/16. Website: www.merzaustralia.com.au. Avant Mutual – by doctors for doctors. Avant, a member-owned organisation, has a proud heritage of protecting the Australian medical profession that spans 123 years. Established by a small group of doctors as a mutual in 1893, Avant is now Australia’s leading medical defence organisation, representing 72,000 healthcare practitioners and students across the country. Offering more than medical defence. We have continued to grow and support our members with a range of tailored products and services that are designed to not only to safeguard your career and reputation, but also protect you as an individual, your family and your practice. Avant offers Medical indemnity insurance, Health insurance through the Doctors’ Health Fund, Life and Income Insurance and Travel Insurance. The Doctors’ Health Fund is a registered private health insurer which serves the Australian medical community since it was established in 1977. The Fund offers a service that protects members from the impact of health care incidents in their lives. It provides convenience and flexibility with a choice of hospital and extras cover. The Doctors' Health Fund is a signatory to the Private Health Insurance Code of Conduct. GHC Aesthetics is a division of Getz Healthcare and has over 25 years experience within the Aesthetic and Cosmetic industry. GHC Aesthetic has been instrumental in introducing industry-defining technology to Australia including CO2 laser, IPL, and Ultrasound Lipolysis technologies and is the distribution partner for Canfield Scientific's Reveal@, Visia®, Vectra 3D ® and Photography solutions in Australia and NZ. Proudly representing a number of leading, innovative brands across Australia and New Zealand, GHC Aesthetic provides the best possible aesthetic and cosmetic solutions and technologies that ensure your practice or clinic delivers optimal results and patient outcomes. Along with providing leading aesthetic solutions and technologies, GHC Aesthetic boasts an Australia-wide network of manufacturer accredited service engineers, along with the highest level of clinical application training to those in the industry. With these resources in place, GHC Aesthetic offers an all-round aesthetic and cosmetic treatment service which will put actual value in your hands through delivering greater ROI from your devices and happy, loyal patients and clients to your practice or clinic. Designed exclusively for doctors, MediBroker is Priority Life’ dedicated solution offering expert advice on risk insurance to the medical fraternity. The team at MediBroker understand that becoming a doctor requires a high level of cognitive ability and, for procedural specialities, a superior level of dexterity. Insurance policies designed for ‘every-Australian’ are unlikely to deliver in ‘grey-areas’ such as partial incapacity, blood-borne virus infection and where locums are employed. This is why MediBroker exists. We ensure that our clients cover is tailored to their personal circumstances and most importantly, specific to your occupation. VorOtek was founded in 1971 by Australian ENT surgeon Dr John Vorrath. For over forty years Dr Vorrath has been developing and manufacturing fully integrated optical systems with illumination. Voroteks aim has always been to provide users with products that enhance their capability for examination, instrumentation & procedures. VorOtek now designs and manufactures a range of fully integrated optical systems with LED illumination, Surgical quality LED Headlights, EndoScope Lights and Accessories. Since its beginnings in 1945, KARL STORZ has established itself worldwide as an international and highly regarded company in the production and sale of medical instruments and devices. The exciting addition of KARL STORZ Endoscopy Australia Pty Ltd means that the Australian healthcare market will experience service, education and support in line with the level of excellence provided by the global KARL STORZ Corporation. Surgeons, nurses and end users will enjoy a level of expertise and excellence that can only come from the support gained by a direct link to the parent company in Germany. KARL STORZ Australia is here to service and educate the market to the highest possible standards. A great little boutique hotel only a short walk from the ICC, room rate is inclusive of free continental breakfast, free in-room minibar and snacks, free happy hour, free superspeed wi-fi. A special discount code applies for AAFPS delegates - use AAFPS2017 to receive a 10% discount. Overlooking Sydney Harbour, Hyatt Regency Sydney features a restaurant, lounge bar and 24 hour fitness centre within walking distance of the conference centre. Novotel offers spacious rooms, some with harbour views and is a short walk to the conference centre. A short taxi ride to the conference centre, QT is a hip designer boutique hotel located in the heart of the city. Hotel offers a spa and a great bar and restaurant. A short taxi ride to the conference centre, Hilton Hotel feature the city’s largest health club and fine dining at its famous brasserie. Chic French coastal vibe with a contemporary design, The Port is the latest and greatest waterfront venue at Darling Harbour and will be the perfect venue for a drink and a nibble as we mingle and network on a lovely spring evening. The best that Sydney has to offer, Harbourside at the Museum of Contemporary Art is situated at Circular Quay with spectacular views of the Harbour Bridge and Opera House.